Teams are bogged down with alerts. But they don’t have to be. Over-restrictive policies cause headaches and avalanches of alarms, and under-restrictive policies leave you exposed. Unintegrated security solutions detect digital activities, but can’t reveal high-risk events. You find out too late to stop breaches. Analysts spend too much time determining if investigation is needed. Replace broad, sweeping rules with individualized, adaptive data security that won’t slow down your employees. Each individual has a unique and variable risk level, informed by behavior-centric analytics. 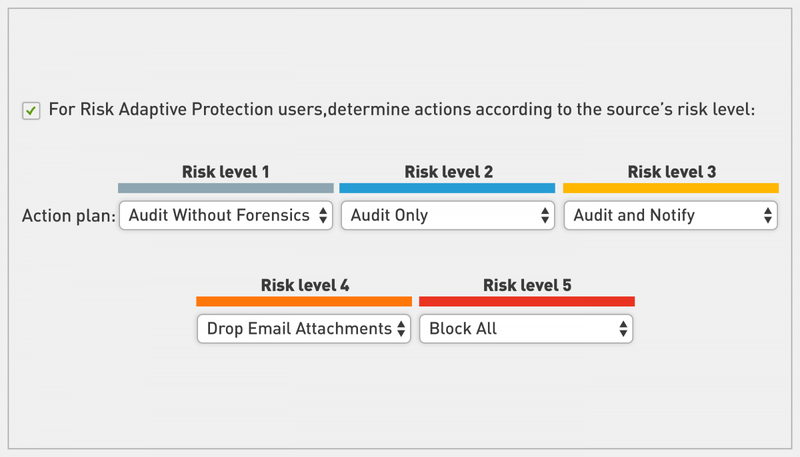 Risk levels are driven up and down based on user behavior and interaction with data. Changes in risk levels continuously drive enforcement for an individual. Block actions only where you need to, and drive a more productive organization forward. Unify discovery, analysis, and enforcement, improving investigation efficacy and drastically reducing the rate of occurrence. Utilizing the baseline of normalized behavior, uncover abnormal internal/external data access and file movement that matches a compromised credential event. Automate manual processes, transitioning from broadly applied policies to ones at an individual level, unifying enforcement. View a narrative that provides context such as detailed timeline events, resulting in more efficient investigation practices. Detect precursor behaviors and potential high-impact incidents before they occur, preventing data loss. 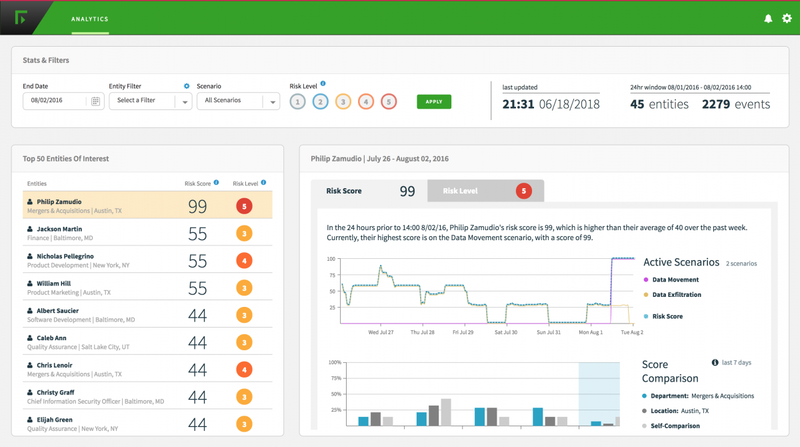 Dynamic Data Protection surfaces anomalies, and proactively adjusts individualized data security controls in near real-time to protect your data. Automatically enforce policies with graduated response. Allow behaviors for low-risk individuals and take stronger action as risk levels are elevated. 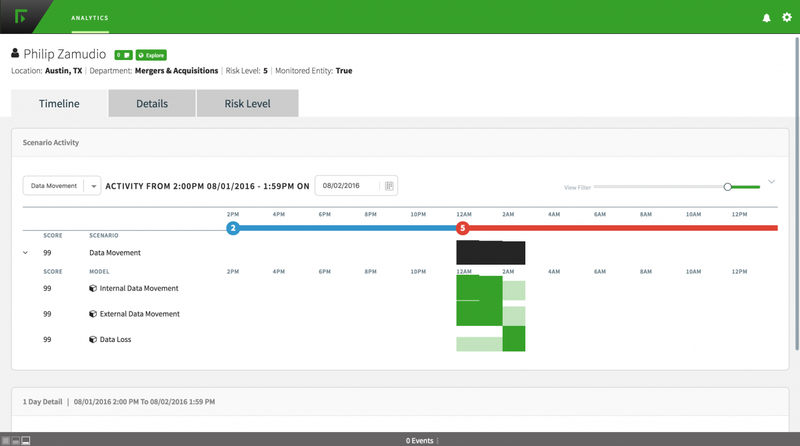 Reduce manual decision-making and overall alert volume.